Valley Baptist Health Plans is a HMO company in Rio Grande Valley Texas. Valley Baptist is a subsidiary of Valley Baptist Health System, located in Harlingen Texas. There is no mention of how long either of these companies has been in business. Enter your zip code below to compare health insurance rates right now! Valley Baptist is a locally owned and operated business. Because of this, they claim that they are the best choice for people living in the Rio Grande are because they understand the health needs of the people living in this area. Valley Baptist Health has an AM Best rating of B, which is a fair rating. Their long-term outlook, however, is considered to be negative, which means that AM Best feels that the company cannot continue to meet their financial obligations. The last update for their rating was December 2010; this means that the rating might be better or worse at their next evaluation. Valley Baptist Health services provides HMO insurance for businesses of any size, no matter how small or large, according to their website. They do not actually mention people who are self-employed; although by saying no matter how small, they are implying that they will work with someone who works for themselves. One of the nice things about the Valley Baptist Health website is that they take a great deal of effort to explain the new health care bill and how it will affect their customers. They do begin with a caveat that states that this is to the best of their understanding of the bill. Although they do not mention selling PPO insurance on their website, if you visit the find a physician link on their website, you will be provided with a list of HMO and PPO providers. This suggests that they do actually sell PPOs but that they simply do not advertise it as one of their products. Baptist Health sells their product through independent agents and brokers. Valley Baptist does not provide a list of brokers or agents that sell their products nor do they offer an agent-finding tool so that you can find someone in your area. In order to find agents for Baptist Health, you will have to call the company directly to find out is there is someone in your area that can work with you. Baptist Health does work with doctors to pay doctors directly for the services that you receive so that you do not have to file a claim with the company. In some cases, if your care exceeds your limit, you may have to file a claim to get a payment for the difference if you can prove it was medically necessary. There are no numbers or other information on the Baptist Health website in terms of filing a claim, which suggests that you should speak to your independent agent if you are having an issue with getting your claim paid so that you do not have to deal with the company directly. 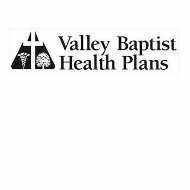 There are currently no positions open with Valley Baptist Health Plans. In addition, the company does not show any of the benefits that they offer for potential employees. If you are interested in a job, you need to call the contact number listed above. Valley Baptist Health has a good reputation within the Texas community. What’s more, according to Baptist Health, their company received a 95% customer satisfaction rating in a survey recently, although they did not provide the name of the survey for reference. The biggest complement for the company comes from the Teacher Retirement System of Texas who not only uses Baptist Health for their insurance needs, but they recommend their products to other people as well. While there are no quote tool options available on The Valley Baptist Health Plans website, they do at least mention how to get a quote from their company. They offer two options for potential customers. You can either call them at 956.389.2276 or you can talk to your independent agent. The benefit to using an independent agent is that they will allow you to compare rates between several companies rather than just Valley Baptist. However, if you want a real selection from the best companies then you should consider our free quote tool instead. Enter your zip code below and compare health insurance quotes right now!